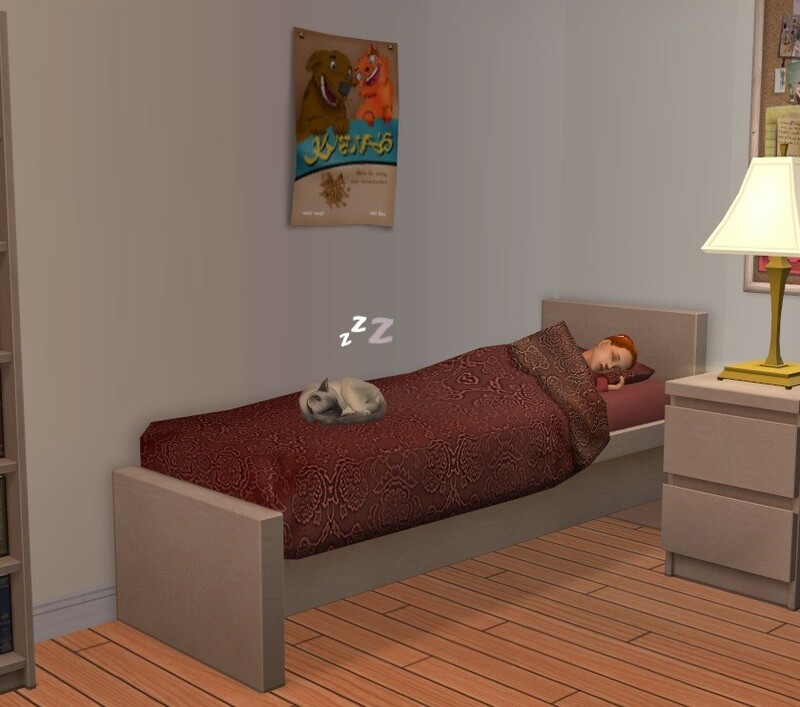 Why can't cats/dogs sleep in the same bed as a Sim? My cat has slept at the foot of my bed for the last eight years, and I didn't like that in Pets that cats/dogs can't sleep at the foot of Sim's beds! 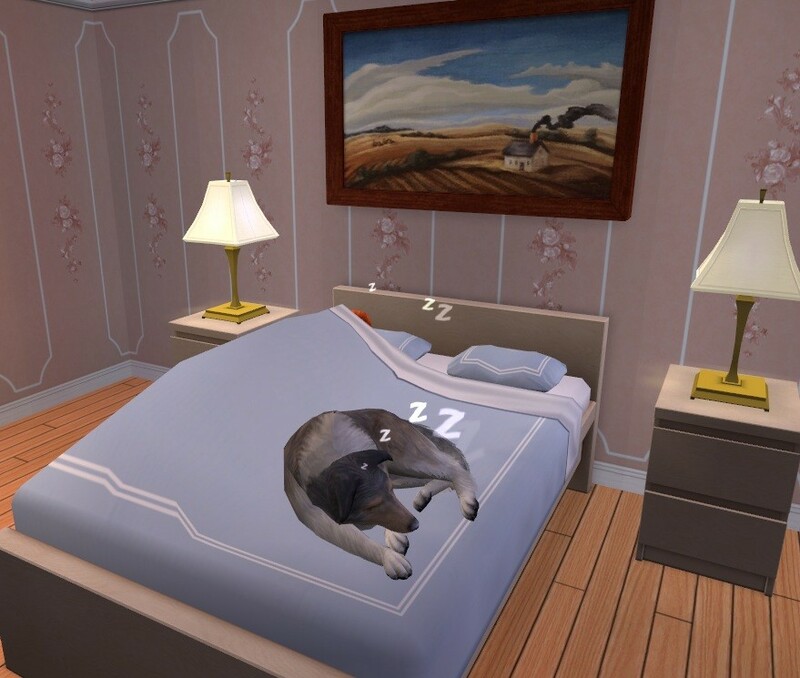 this is a mod that allows Pets and Children to use the bed at the same time. Pets can sleep or relax at the foot of the bed whilst the child sleeps or relaxes at the head of the bed. 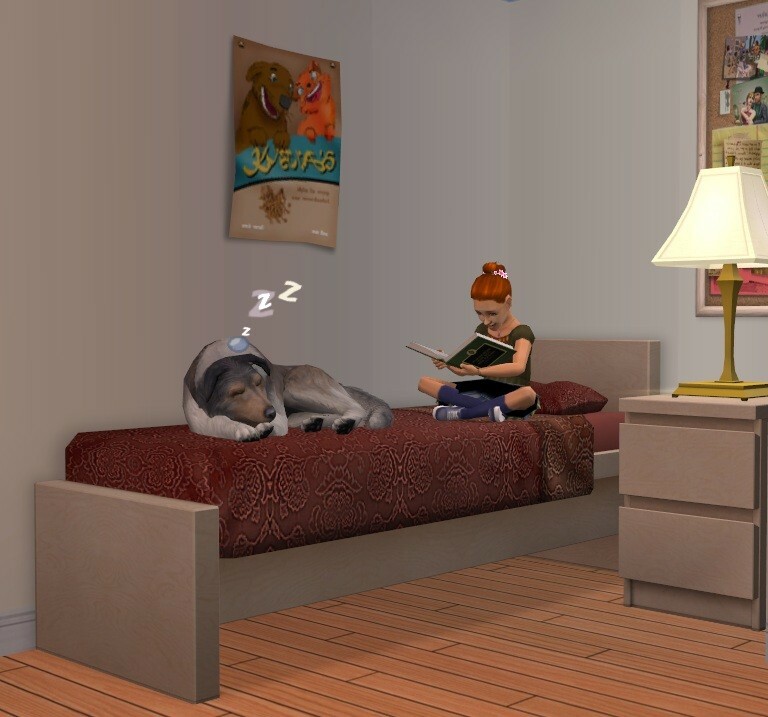 This only changes the behaviour when a child is using the bed, there is no room at the foot of the bed when a Sim who is older than a child sleeps on it. Of course pets can already sleep on the unoccupied half of a double bed. 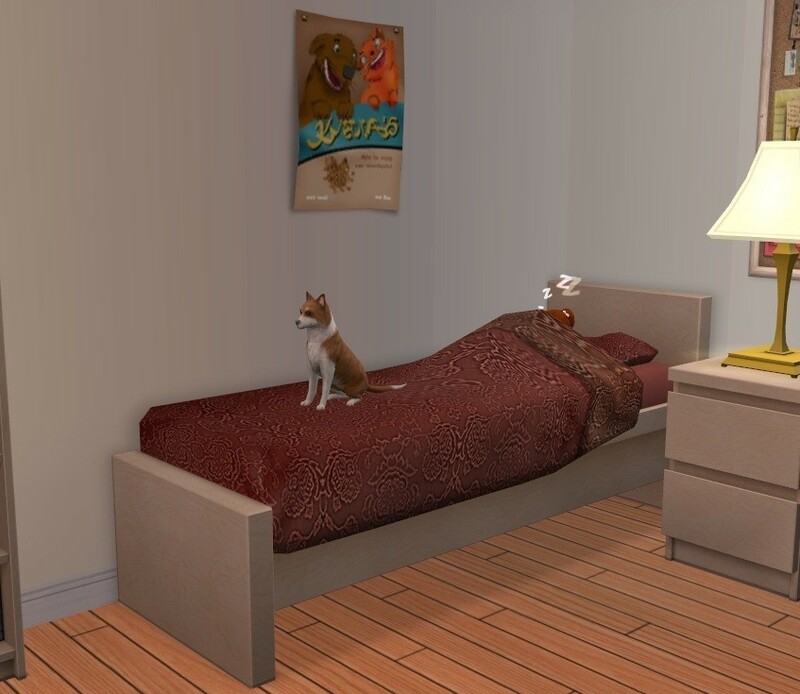 If you want to direct your pets, remember the various Pet related cheats Game_Help:Sims_2_Cheats#Gameplay_Cheatswiki. Version 1 of this mod clashed with TwoJeff's SmartBeds Mod. This version has been changed to avoid the clash. I don't know of any other mods this clashes with. There is always the possibility of course, so the pertinent information for the owner of the other object is here. If your mod also touches these then our mods will clash. Rugs - zMOG!! Off Grid! !